The Steamer Tahoe at the Tahoe Tavern in Tahoe City. 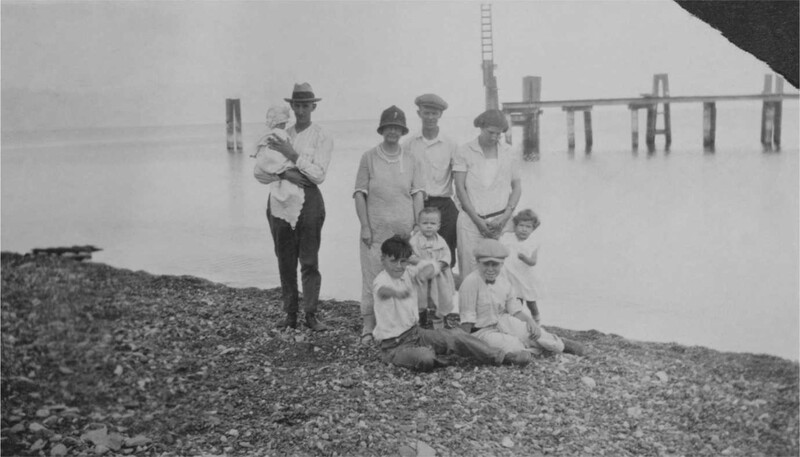 NEH funding helped the University of Nevada, Reno establish a publically-available digital record of the Tahoe region. Image courtesy of the University of Nevada, Reno. With a grant from the NEH, the University of Nevada, Reno (UNR) co-hosted a digitization day in 2016 to capture a visual record of the Tahoe region’s natural beauty, history, and culture. Lake Tahoe is one of the world’s most spectacular alpine lakes; it hosts more than 3 million visitors per year and is of both cultural and ecological significance. For more than 30 years, UNR photography professor Peter Goin has been tracking down photographs and other images of Lake Tahoe, finding that many of the region’s limited records were dispersed elsewhere in the United States. By hosting the North Lake Tahoe Digitization Day, Goin hoped to fill the significant gaps in the historical record and contribute to a substantial archive that would be accessible to anyone with an internet connection. 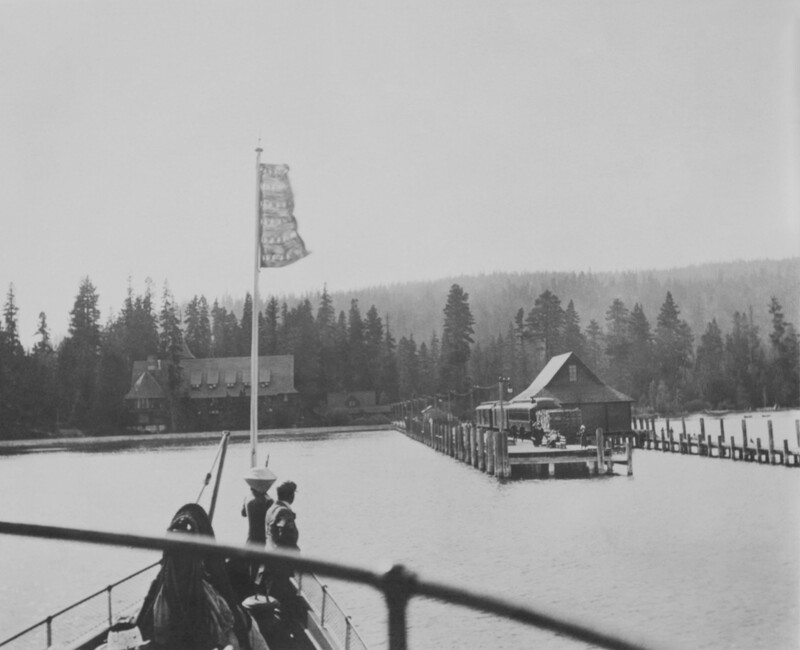 North shore pier, possibly in Carnelian Bay. The North Lake Tahoe Digitization Day helped fill gaps in the region's historical record. Image courtesy of the University of Nevada, Reno. Photograph of a portion of Crystal Range looking south. Image courtesy of the University of Nevada, Reno. 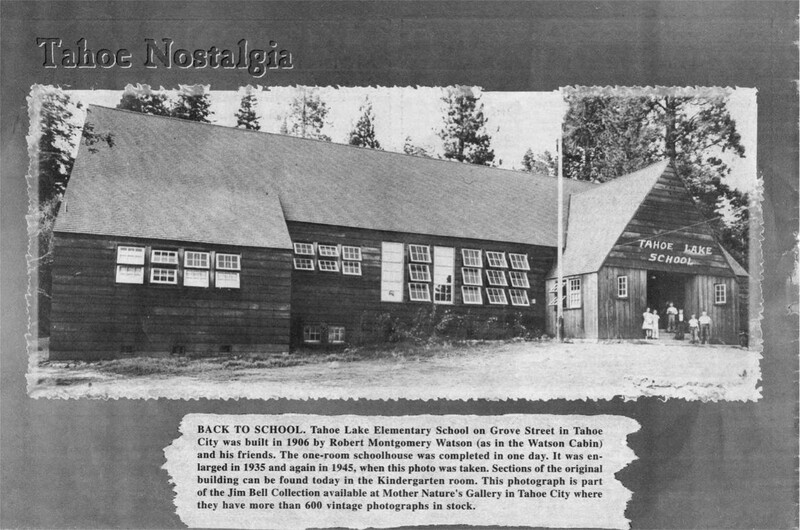 Photograph of the Tahoe Lake school in 1945 with a description of the school's history on the bottom of the photograph. Image courtesy of the University of Nevada, Reno. Dani Smith and Janet Eby at the Gatekeeper’s Museum for the North Lake Tahoe Digitization Day on June 26, 2016. Image courtesy of the University of Nevada, Reno. 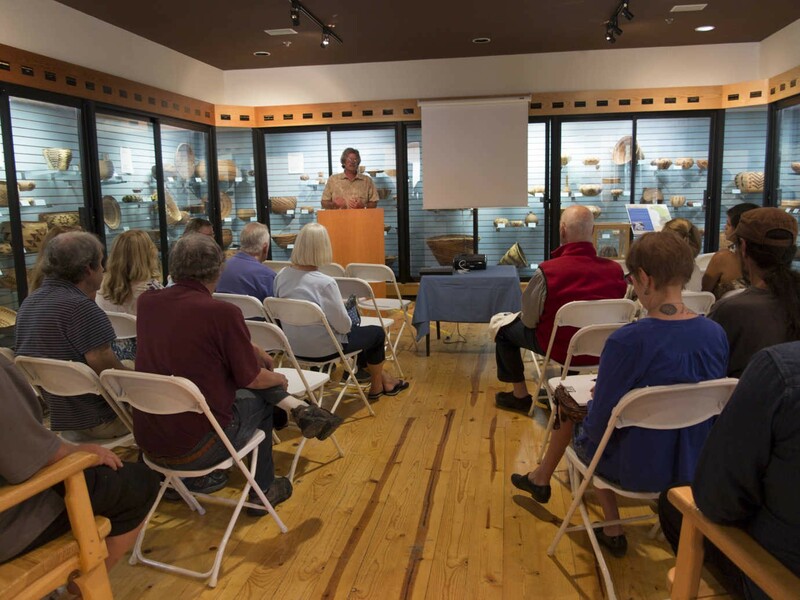 NLTHS Board President Jim Phelan speaking at the Gatekeeper’s Museum for the North Lake Tahoe Digitization Day on June 26, 2016. Image courtesy of the University of Nevada, Reno. The life of the project has extended far beyond the digitization day. 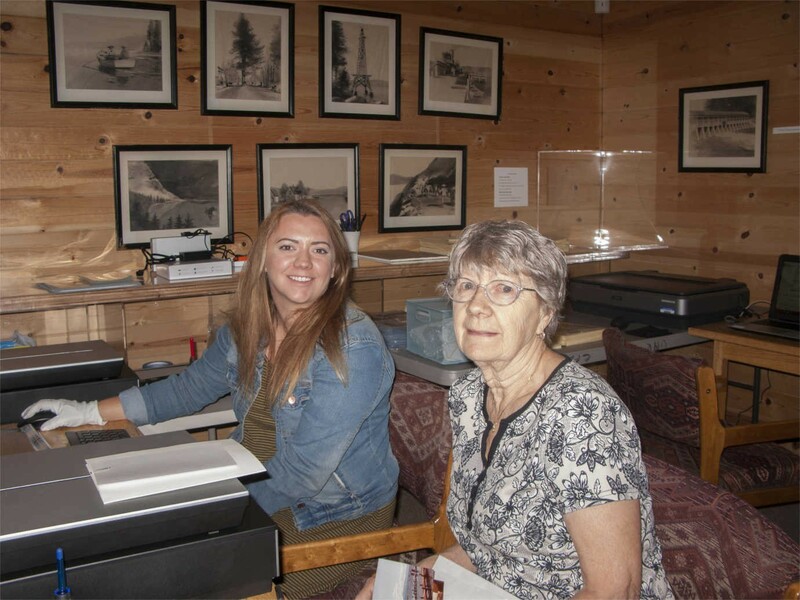 Funding provided by the NEH helped Goin purchase high-quality scanners that the North Lake Tahoe Historical Society continues to use, helping locals digitize their heirloom photographs. 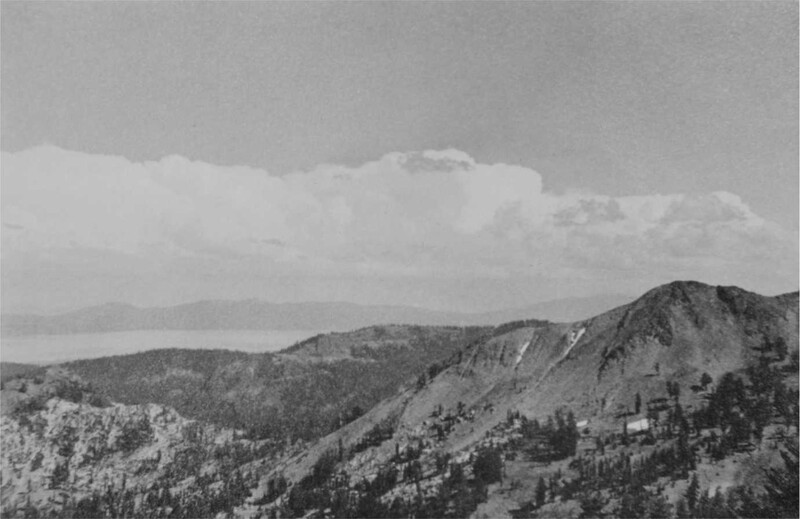 Goin has also given a series of talks on Lake Tahoe’s visual history, encouraging attendees to take advantage of the digitization services offered by UNR and the Historical Society.